Did your car suddenly became slow on acceleration and refused to rev past 2000-3000 rpm, while the engine light was flashing on the dashboard? Then your car was most likely in a condition called Limp Mode, and you are reading the right article to solve this problem. However, why does this happen and how expensive will it be to repair my car? You may think. I work as a car technician, I have seen the most common problems in a lot of different vehicles, and I know how to repair and diagnose them in the fastest and cheapest way. In this article, I will teach you everything you have to tell about limp home mode, What it is and why it does happen. Limp mode is a security function for your engine and transmission. When the engine or transmission control unit has recognized a serious faulty value from the engine or transmission, the car will go into limp mode. The limp mode does often reduce the power and limit the RPM of the engine so you can drive your car to a workshop without damaging the engine. For example, Your engine control unit is detecting that your turbo boost pressure is 2.0 bar when the maximum boost pressure should be 1.3 bar. Overboost could blow your engine fast, and because many car owners do not care enough about the engine light, the engine control unit does put your engine into limp mode and shut off the turbo boost completely and put a max RPM limit to 3000 RPM’s so you won’t blow or damage your engine. In the video below, you will get in-depth information about what limp mode is. The video is specific for truck diesel engines, but the video will get detailed information for all car models. The Limp mode’s function is to get you to the workshop in the safest way without damaging anything inside your engine on the way. Different car manufacturers design different kinds of limp modes to save your engine. The common characteristics of limp mode are different depending on the problem with your engine/transmission and depending on which car and engine you have. Here are some of the most common symptoms when it comes to limp mode. and find a fault before you are replacing any parts! Read the trouble code memory with an OBD2 scanner. This will help you to find the problem the cheapest and fastest way. When the engine control module, transmission control module or brake control unit(ABS) finds a problem in the engine, transmission or brake system, it will store a trouble code in your DTC memory. If the control units are deciding that the problem is dangerous for the engine or transmission, it will put the car into limp mode. So the cause of limp mode can be a lot of different things. The best way to find the cause of the limp mode is to always read out the trouble code memory first with an OBD2 scanner. The problem with the limp mode is that you are getting the same characteristics with a lot of different faults. That’s why you should never listen to anyone that had the same problem before. You will only end up wasting your money on parts that were not faulty from the beginning. It is straightforward to read the DTC memory and find out the real solution to why your car has gotten into limp mode. You could either drive your car to a friend or a mechanic to get help to read your DTC memory, it will probably not cost much money, and you will get a real answer to your problem. How to use an OBD2 code scanner? The process to connect an OBD2 scanner is pretty simple. First, you have to locate the OBD connector, generally found under your steering wheel. I do recommend to attach a car battery charger while you are doing this job to avoid any damages to the electrical system. Never connect an OBD2 Scanner when you have a bad/worn out car battery. If you think you need a new car battery you can check out the best ones in this article at ReviewJam.com. If your car battery is good and you have a car battery charger connected, turn the ignition on and follow the manual with the OBD2 scanner. 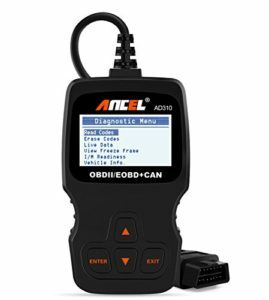 Where can I get an OBD2 scanner? If you want, you could also buy an OBD2 scanner to read your trouble codes at home by yourself. They do often not cost a lot, and it could be an excellent investment instead of taking it to your mechanic all the time, and you will save the money fast. If you want to check out some different OBD2 scanners, you can check our OBD2 scanner review where we have listed the best OBD2 scanners on the market. If you got any trouble codes stored in your memory and you do not know which to fix first, you could save and erase them and take it for a drive to see if the problem is coming back or not. If you are fortunate, it was just a coincidence, and your car may work as it should. However, in most cases, the trouble code will come back, and you have to repair anything to get it away. When you found out which error code that is causing the limp mode, you should search for some information about the trouble-code and not just replace the part that it is telling you is faulty. It does not happen to be a broken part it could be a wiring issue or something else. The OBD2 scanners in our review do have an inbuilt trouble code library where it will show you the causes and solution of different trouble codes. If you have a cheaper OBD2 scanner, you could search the internet or ask us a question on our homepage. It would help if you always tried to avoid to drive with the limp mode happening. 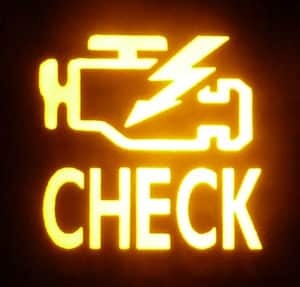 Try to make a stop as fast as possible to check for any leakage, smoke or noise from the engine or transmission. If everything seems okay, you could either drive to the closest workshop or get it towed if you feel uncomfortable. If it’s not possible, encourage the shortest way to your home and fix it there or get it towed to a workshop. Tow your car to the workshop or home is always the safest move. My limp mode is only occurring sometimes, and it went after an engine restart? The limp mode does often disappear after a restart of your vehicle. At the start of your engine, the engine control unit will check all the sensors if they are OK. If the status is Ok, the control unit will allow you to drive your car as usual. The problem is maybe not occurring at idle, and that is why it will remove the limp mode automatically for you. Then when the control unit detects the fault again, it will put your car into limp mode again. My Limp mode occurs when hard accelerating and happening when driving normal? If the problem only occurs when you are doing hard accelerating, there is most likely a problem with your boost control system. If the vehicle detects an overboost/underboost pressure, it will go into limp mode. If you are getting into limp mode at a lower speed or at idle also, you are most likely not having a boost problem. However, you should always check your DTC memory before doing any repairs or troubleshooting. Is it dangerous to drive with limp home mode? Yes, the limp mode is set because of a reason. If you notice that your car has gotten into limp mode, you should fix it as soon as possible. The limp mode is designed so you can drive the closest way to a workshop to get the problem fixed. Do not drive around with the engine light ON. Even if you know the problem and it’s not a fault that will cause any damage, it can hurt your engine, and you will not notice if you get any real trouble with your engine. I have replaced the damaged part, will the engine light and limp mode go away by itself? Yes, in most cases. The trouble code system is working in cycles. Each time you start your vehicle, and it gets hot, and it has tested all the sensors, it gets registered as one fully functional cycle. Depending on the car model, the engine light will reset after a fixed number of cycles. If it has detected that the fault has not occurred within 10-20 periods, it will see the problem as repaired. However, the easiest way and the best way is of course to reset the engine light and trouble codes with an OBD2 scanner. With these tools, you could always check all the parameters in the engine to see if they are okay if you have some knowledge. Don’t panic when the limp mode occurs. It’s designed to make your engine survive to make sure that you can drive to the workshop to repair the problem. You can buy an obd2 scanner to check the cause of the limp mode yourself at home. Do not just replace parts on your vehicle without reading the trouble code memory first. If you have any more questions about the limp mode or want to tell us your store about it, you can comment down below here and let us know. If you have any other car questions, you are welcome to read our other articles on our blog or ask us for free at our homepage. We will help you out as soon as possible. Good luck with your troubleshooting and I hope that I will see you in the next article also! I have a friend that’s selling a dodge caliber but its stuck on limp mode and it won’t let you drive faster than 20mph? What can be the problem? Read the trouble code memory with a scanner. When the limp mode is on, there is always a permanent trouble code stored in the memory. It’s cheaper to read it and get a fast answer than guessing and just replacing parts! I drive a 2013 Honda Civic Si sedan. I don’t know exactly if this is considered limp mode but, the first time I experienced this was after I got a stage 1 clutch installed. My CEL, VSA, Power steering light all came on. I was driving about 65 mph and then my gas pedal stopped working. I was able to down shift and up shift in my car but that was it. Gas pedal stopped. My speed was also decreasing slowly. But what caused it when I checked and inspected was a loose oil drain plug which I tightened it then my lights went away and I was able to drive as normal. But then again it happened but this time it wasn’t an oil drain plug. I just let the car sit then went to research on what it could be but I’m seeing that I need a tune because my stage 1 clutch is not OEM. Could this be it? The oil plug should not affect the Limp-mode and is most likely a coincidence. I would recommend you to read the trouble codes in the engine control unit. When the limp mode is active, there is a stored trouble code and you want to check this code as it will most likely lead you to the problem! You should read the trouble code memory again and check if you have a trouble code on the shift solenoids again. It does also matter a lot of the trouble code is saying an electric or mechanical fault. If the shift solenoids are replaced, and it does still say “Electric fault shift solenoid”, the problem is most likely in the wirings or the transmission control unit. You can measure up the shift solenoids function with a diagnostic scanner and try them manually to make sure they work as they should. If the trouble code says mechanical fault, it can be dirty oil or clogged up a transmission and you have to inspect it further, which can end up with a transmission replacement in the worst case! I have a 2012 Honda accord in limp mode. Car want go past 25mph. Checked the codes and showing crank sensor, and o2, o3 misfire and random misfire. Any suggestions on what I may be experiencing? I would recommend you to erase the trouble code and start it again to see which trouble codes that would get triggered first. Now the trouble codes depend a lot of the O2 sensor says lean mixture or electric fault etc. In this case, there could be a problem with the crankshaft sensor, O2 sensor (Depending on what trouble code it have). The misfires can be caused by a faulty Crankshaft sensor or O2 sensor. It can also be caused by an intake leak around the intake. But if you have a scanner, erase the trouble codes and check if the crankshaft sensor trouble code or the O2 sensor code appears first. If you have O2 sensor “lean mixture” trouble code and the misfires, I would start to check for any intake leaks around the intake and the hoses. Have a 2001 mercedes sprinter (diesel/manual) that constantly goes into limp mode around 80 degrees on temp gauge. No codes ever show up on the scanner (obd2) and have replaced radiator hose, turbo sensor, air and oil filters. Im at my wits end with this thing as it goes great for a few weeks and then bam back to limp mode. I also cant3get the glow plug light to go out. Any help would be great as the town I live in doesn’t have a mechannic that will touch it – apparently its all too hard work (lazy smucks) and the authorized place wants to charge me 8 grand!! Did you try with any other scanner to see the codes? If your car feels a bit low on power before the limp mode occurs, I would start to check for any boost pipe leaks and the function of the turbo system. Check that the wastegate arm on the turbo moves freely and that the vacuum hoses is okay. Have discovered that the fan isn’t cutting in at all when engine is getting warm. Can get it to work when I connect straight to battery and car not moving but it won’t work when driving for some unknown reason. Any help on that would be gratefully received. Also having trouble locating the egr valve on my sprinter, have looked in books and online but not one mention of the location. I would suggest you check the coolant temperature sensor for the cooling fan. Sometimes the car uses two different temperature sensors for the engine control unit and the fan control unit! I have a 2018 Kia with only 10K miles. I got a Kia letter telling me that it’s a possible rod bearing problem, if it goes into engine limp mode to take it in right away. I’m sure that should not be happening to a brand new engine in a car I just bought. Not a happy camper right now. I think I want my money back or something along those lines if I have a defective engine. What would you do? Difficult situation. If they have found a solution to the problem, it might be running for very long after the repair/fix. I would absolutely consider trying getting the money back because a bad rod bearing on such a new engine can cause really expensive repairs in the future when the warranty has expired. For example Volkswagens problems with the 1.4 tfsi engine, even if the new parts are stronger the problems still come back later on again. Limp mode may be great but not much fun when you are 200km away from the nearest town, have no telephone signal and it is stinking hot and you are towing a caravan! An inbuilt fault detector would be great! Long storey but to me Engine Fault Light on is about the best way to increase your blood pressure – modern cars are great but are totally disasters when you are “out-back” and the dreaded limp mode starts. City-Slickers invention! Yes, Limp mode can both be good or bad depending on the situation. However, I would really recommend getting an OBD2 scanner, like the BlueDriver if you have a smartphone. Easy to connect to your vehicle in those situations and to check the trouble codes, and even erase them and keep driving if it was just a temporary problem. They are small and can be stored in your car. Will a 2009 bmw328xi go Into limp mode is the oil filter housing leaks out all the motor oil?. my main question is will it go into limp mode before blowing the engine? @Sam Limp mode won’t save an engine without oil pressure. If the oil pressure is dropped it will seize and damage the bearings on all RPM’s. If the engine loses oil pressure, you should shut it off immediately. The trouble codes together indicate that there is a problem with your EGR valve. However, it’s just a guess here but from my experience, these codes do either tends to be a problem with the EGR or a boost/intake leak. Citroen C2 goes into limp mode plugged in says missfire cylinder one, replace coil pack spark plugs, crank sensor and recently had new timing belt too but that’s been re checked again too, garage can not find fault?? Restart engine and drives fine again. Prob next day it do it all again?? Normally when you get misfire on just one cylinder, it’s either spark plug/coil, bad intake gasket, Compression or a bad fuel injector. It can also be a vacuum leak but there is often trouble codes on other cylinders also. I have a mitsuibusi i turbo (2008) which goes into limp mode. You have to read the trouble codes with a scanner to get a clue of how to get it out of limp mode. You can also remove one battery cable to reset the ECU, however, if the problem is still there. It will go into limp mode again. I couldn’t get car to start unless I feathered gas pedal and stayed on the gas to keep rpm’s up. I figured it was just the Throttle Position Sensor, I changed it, and now the car will at least idle without me having to use the gas but even after clearing the codes I couldn’t get it out of limp mode and then the same 3 codes came back up a while later. I even tried disconnecting battery cable for an hour then reattaching. About to change the fuel filter as a last resort. I just really don’t believe its the PCM, that would be just so bizarre. Only other thought is something funky with the wiring somewhere, but I couldn’t find anything obvious. Any ideas? This vehicle had it’s transmission rebuilt, also had to throw another engine in it as well. I did notice some burning smell coming from the wheels while driving it before, but figured it was just brakes riding or the little plate behind the rotors riding on the rotors, but not sure if that burning smell maybe something else now. Thanks for any advice you may have! You have to check the power, ground, and signal for the TPS sensor. I’m not sure if you have an electric throttle body or a throttle wire. However, if there is an electric one, there might be a problem in the electric motor, or on the accelerator pedal. Are you sure that the TPS is correctly fitted and that the basic setting is done after the replacement, check for broken wires! I have a 2013 Sentra that went into limp mode after the brake fluid got low and the traction control light came on and stayed on. After fixing the low fluid problem, the light has stayed off, but it still seems to be in limp mode. What do you suggest? You might have to erase the trouble codes with a scanner or remove one battery cable for 10 minutes to reset the control units! Have a 2006 Mitsubishi outlander. It went into limp mode and the code that comes up is P2135 & P2135 again. This is the only car I have to get to work n back so I’ve been driving it around town at 30mph. I’ve replaced the throttle body and still same problem. Please help me fix it?!!?? If the throttle body sensor is replaced, and a basic setting is done properly there is most likely a faulty wire between the engine control unit and the throttle body sensor that is causing your problem. I would recommend to let a good workshop make a basic setting and measure the signals from the engine control unit for you. Does the engine shut off completely for 20-30 seconds or is it just not driving forward? If the engine is going down, you should measure the fuel pressure while it’s shutting down. If the pressure is low it could be caused by a bad fuel pump or fuel pump relay. Other common causes for sudden engine stop is a faulty crankshaft sensor or a faulty throttle body like you mentioned. i am driving a Q5 2.0TDI the vehicle start and cut off the fuel. @ audi they did all the test and replace fuel pump as well as fuel control unit but it didn’t solve the problem. Today i am getting answer that the vehicle is on limp mode. You should read the trouble codes and post them here. Are you sure that it’s not an immobilizer problem? Usually the engine will run for 2-3 seconds and then shut off if there is a problem with the immobilizer/key recognization. This problem will shut down the ignition and/or fuel. Hello there. I got a question to ask. My car model is Mercedes Benz C 204. Recently, the transmission of gear getting slower. I had done the OBD SCANNING. But no faulty was detected regarding transmission. Can you guide me on how to solve it? I already asked mechanic to look for the causes. Still no solution. Thanks in advance. I have a 2017 Kia Soul that has gone into limp mode three times,the first two happened right after filling my tank and the mechanic though I had to have topped off the gas tank .I may have but I don’t think so. The first time it started up the following morning. The second time I had it towed to a dealer and it must have started right up the following morning ( that’s when the mechanic assumed I had topped it off ) the third time I was nowhere near a fuel pump and I was at the ranch when, for so train, it went into limp mode and stayed the following am. I had it towed once more and for the last three days the mechanics have been trying to get it to go into limp mode again. Apparently the can’t find any coded in the computer that would indicate specific problems Help!! !